The main work of our digestive system is to converts the food nutrients to energy which body use in doing any work and other organs function. the digestive system interacts with other systems of the body including nervous system,endocrine and immune system. some of the health problems caused by unhealthy digestive system include anxiety, depression ,weight fluctuation,thyroid disorders, candida overgrowth, frequent colds, food allergies,food sensitivities, constipation, diarrhea, gas ,IBS IBD, acid reflux, migraines, fatigue, acne, eczema, and sleeplessness. Our lifestyle and the food we eat has a direct impact on our digestive system here are 7 ways to improve digestive system. Excess toxins can be a cause of digestive problems for many people causing diarrhea,constipation are both in case of IBS avoid artificial sweeteners which answer the good bacteria of the gut which are important for healthy digestion and overall health. Eat fewer processed foods which have almost no nutritional value and are filled with refined sugars,artificial flavors,colors preservatives which can cause harm to kidneys,liver and are addictive avoid processed soy which interferes with absorption of nutrition and causes hormonal imbalance, try avoiding gluten which is a common allergen and gut irritant in most of the digestive disorders. It is important to eat enough fiber to keep your food moving through the intestines soluble fibers found in cucumbers,blueberries, beans and nuts dissolve into a gel-like form and helps to slow down digestion. this helps you feel full longer and controls weight games in soluble fiber found in Dark green leafy vegetables, Green Beans, celery and carrots doesn't dissolve at all and helps add bulk to your stool. The way you eat has a large impact on your digestive system by changing few habits you can improve your digestion eat in a relaxed environment and focus on eating turn off TV and electronic devices so that you can focus on the food you're eating and the act of eating notice how your food looks tastes smells and feels this is called mindful eating try to avoid eating when you're in a bad mood your brain and digestive system are connected so the emotions that you have can impact the effectiveness of your digestive system be sure to chew your food thoroughly before swallowing the more you chew the easier the digestion. Exercise is important for proper digestion,means after have launch,breakfast,etc. we should to perform some physical activity like walking is excellent activity for better digestions system,we allow such physical activity nature in lifestyle . due to exercise the blood circulation increase and digestion improve. 5.Eat fermented and Probiotic rich foods. buttermilk, lassi, raw cheese, pickled beets are some of the good sources of probiotic fermented foods will help you to regenerate your gut bacteria naturally. Adding plenty of water to your diet will help digestion by dissolving fats and soluble fiber,this allows food to pass through the intestine more easily drink water between meals rather than during the male's to avoid diluting stomach acid which is important for digestion. Many people have low stomach acid,heartburn,bloating gas,fatigue and headache these all arise by low stomach acid, Take one tablespoon of any of this which is available, apple cider vinegar or lemon or honey in water every morning. To improve the acid level of stomach. 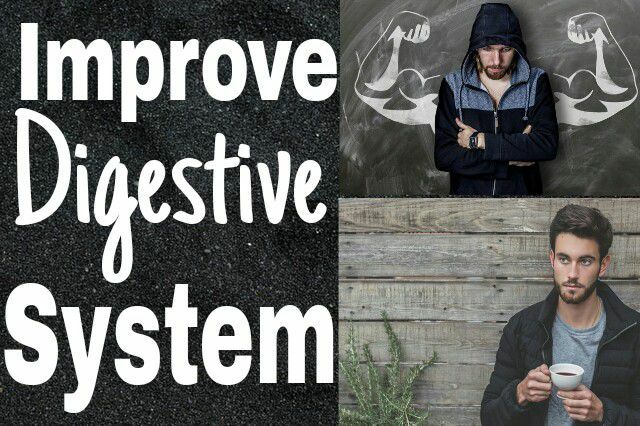 I hope this article will help you to improve the digestion and live healthy.